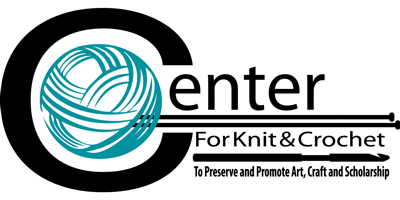 The Center for Knit and Crochet (CKC) is a non-profit organisation whose aim is to preserve and promote the art, craft, and scholarship of knitting, crochet, and related arts. One result of this aim is the establishment of a digital repository of knitting and crochet. The new CKC Collections Resource is an online-only collection bringing together items from different sources such as museums, galleries, libraries, archives and other public and private entities. More than 5000 items relating to knitting and crochet may now be browsed in the Library and Museum Collections. Currently in an experimental phase, the database is drawn from the Digital Public Library of America. Other contributions are to be found in the Crowdsourced Collection, which is being used to refine the design, features and functionality of the online interface before continuing expansion. The CKC are in search of further partner organisations willing to share their collections of knitting and crochet. Visit the CKC Collections Resource to read more, browse the collections or, perhaps, contribute your own piece of history: http://digital.centerforknitandcrochet.org/. Next Next post: Black People Do Knit?